I am a nationally certified and licensed Massage Therapist serving clients in Cambridge, MA and the surrounding areas. Graduating from the prestigious Muscular Therapy Institute's intensive two year program, I left with a well rounded education in the areas of Anatomy, Physiology, Client relationships, Deep tissue and Trigger Point Therapy. After graduating, I went on to work at one of the top Massage Therapy providers in New England, Waddington's Massage therapy in Newton. 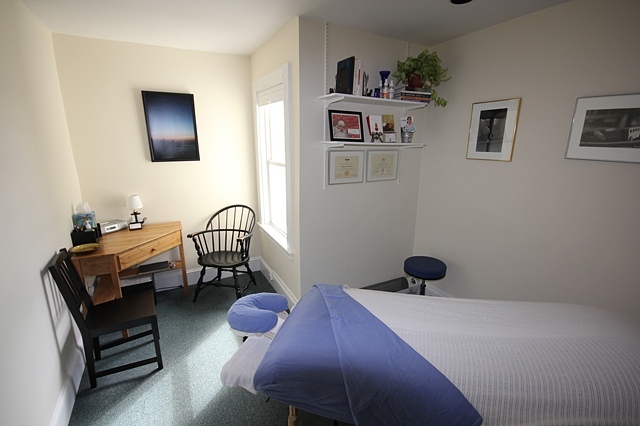 I now work full-time managing and providing treatments at my private practice, Cambridge Massage Therapy. Over the years I have helped a diverse clientele with my deep tissue massage relieving their chronic pain, reducing headaches and migraines and even preparing some for their next marathon. With my lighter more relaxing approach I helped clients who didn't necessarily need injury work done, but just wanted to relax and reduce the stress level in their lives. My theory when it comes to massage is that every client is different and has unique concerns and needs. I hear many people discuss what they loved or hated about their last massage, and one of the most common complaints is that the massage therapist just didn't listen to what their needs were. "I told my therapist my back was killing me, but my therapist worked on my legs for 40 minutes"... I understand how frustrating this can be, and while I believe in a massage that incorporates the many muscles of the body, I also think it is important to assess the true needs of the client and really work on the area of complaint.